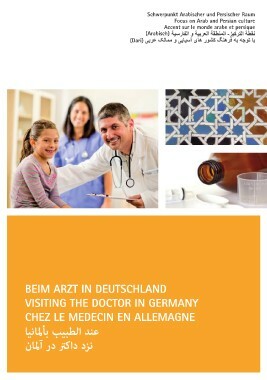 A better communication even without being able to speak the same language: This is the aim of the Patient-Doctor-Booklet 'Visiting the Doctor in Germany'. A mutual understanding between doctor and patient leads the way to an easier diagnosis. The important thing about it is: the cultural background. How does the religious background influence taking one’s medicine? The booklet is field-tested, though it cannot meet all requirements of every situation.It is allowed to share and distribute this booklet. You can order a printed version at ukm@icunet.group. Further helpful links concerning the topic 'Refugees as Patients'. If you have any questions or suggestions, please feel free to contact ukm@icunet.group.